Onshore Base – is a complex of operational and maintenance services provided to support wells and further extraction of oil and gas on Russian shelf. Forming full cycle systematic structure, Onshore Supply base may accept, handle, store different cargos, materials and equipment; provides domestic and industrial waste treatment services including drill cuttings. 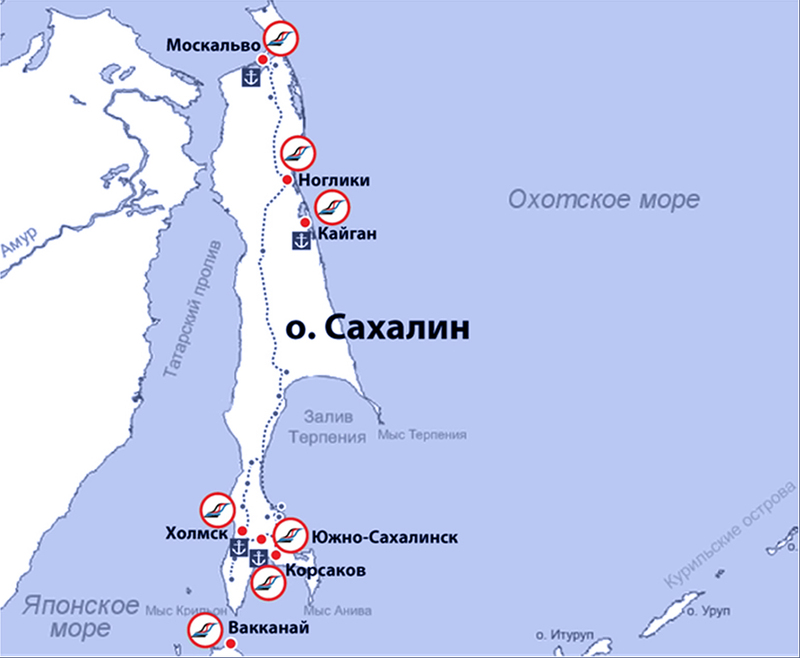 JV LLC «Sakhalin-Shelf-Service» provides special onshore and port services for all oil and gas exploration and extraction projects on Sakhalin shelf. Besides, successful experience in oil and gas marine projects support is highly demanded abroad. To do this, the company built onshore supply bases in Wakkanai port (Japan) and Matansas (Cuba). Our company has great experience in building onshore bases as independent unit with its own resources and facilities as well as in the form of integrated system, included in the structure of ports and marine terminals. Flexible approach and professional management allows the company to fulfill all operational tasks in qualitative, timely and rational manner.